...At Nortrail we believe that internal quality promotes external quality! 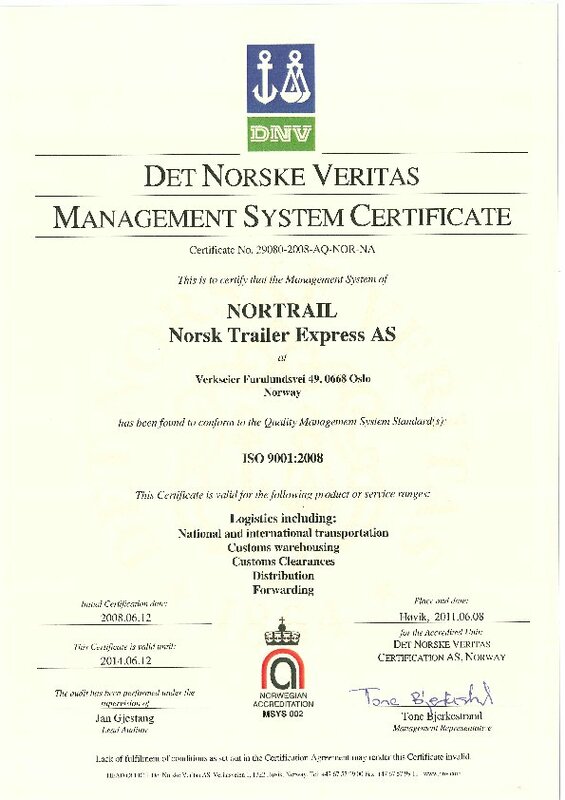 Nortrail - Norsk Trailer Express AS is ISO 9001:2015-certified. Absolutely all links in the transport chain and our working routines are secured through our strict quality control system. Through our systems we continually monitor our quality in all areas. We pro-actively work hand in hand with our customers and agents in order to secure a high standard and prevent discrepancies.